This wardrobe contains 15 fully co-ordinated outfits, a cashmere coat and 4 pairs of shoes. A total style solution that you can depend on for any environment, any climate, any situation, anywhere. The Capsule Wardrobe contains 5 fully co-ordinated outfits and a pair of shoes. A perfect solution to re-style your personal brand. 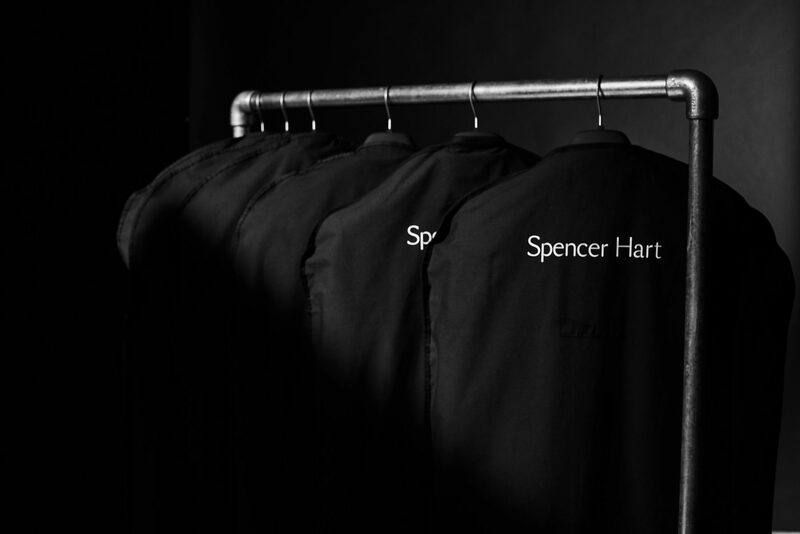 Thirty years of experience in men’s design and tailoring distilled in to three simple steps. By the time we first meet a client, whether in their home or in our showroom, we’ve already begun to understand their taste and individuality. We translate this into fabrics and samples, used for measuring and fitting, and also as specific discussion points. From this, we gain deeper insights into the lifestyle, personality and environment we will be tailoring for. Our consultation will lead to a unique and comprehensive proposal: your wardrobe, on paper. 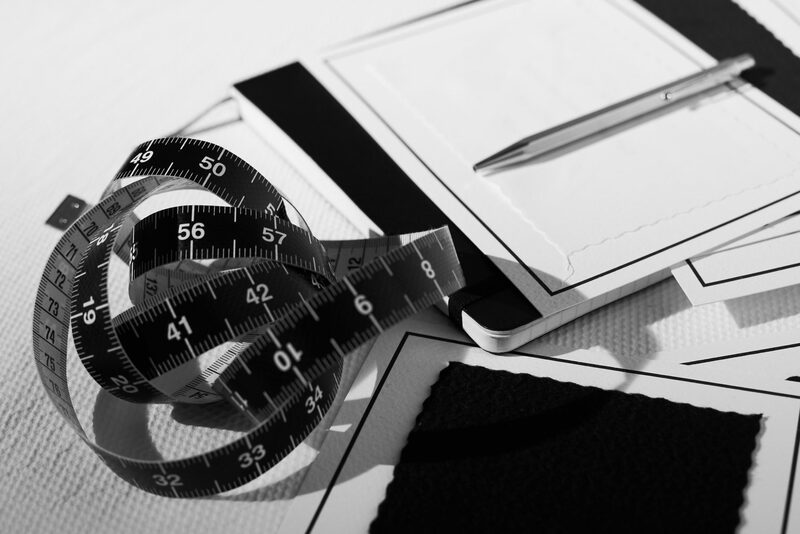 Once the client is completely satisfied with this blueprint, we begin the ten-week process of creating the wardrobe. During this process, our communication with you is tailored to your requirements. Once the wardrobe is complete, we arrange a final meeting to ensure the perfect fit. 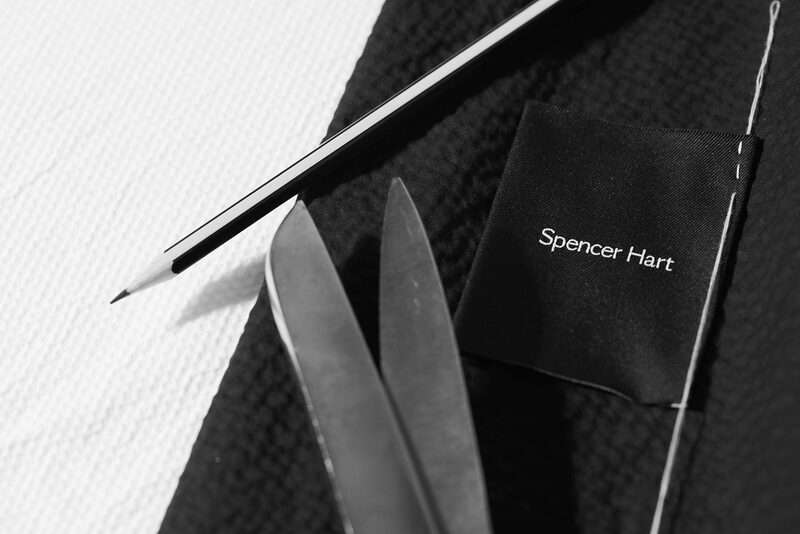 Any alterations are overseen by us, and all garments are numbered and delivered in ready-to-hang outfits, complete with The Wardrobe by Spencer Hart book – a guide to ensure the client gets the very most out of their wardrobe.